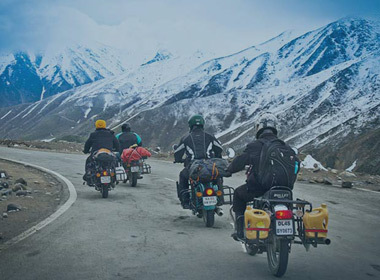 Thought about a trip to Leh Ladakh recently? 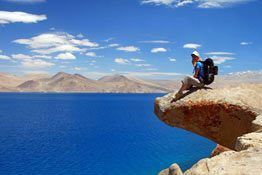 Well, from April 2017, the government authorities had made it compulsory to obtain an Inner line permit for Domestic and International travelers visiting some of the protected areas of Ladakh. 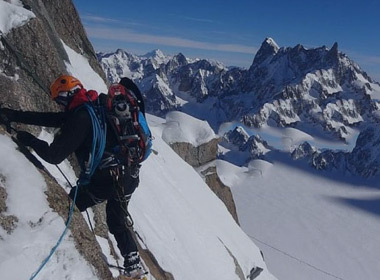 Acquiring Inner line permit may be a cumbersome task filled with hours of standing in long queue, particularly if your trip coincides with any government holidays (Saturday and Sunday). 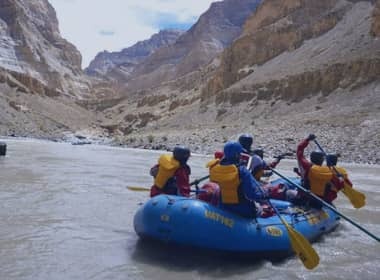 However, in a move which makes obtaining the inner line permit easier for Ladakh travelers, the government authorities have recently launched a web portal through which one can apply for inner line permit (ILP) online by paying INR 400 per Person as an environmental fee + 20 rupees per day as an Inner line fee. This rule is effective effect from 1st June 2017. What is Inner Line Permit? 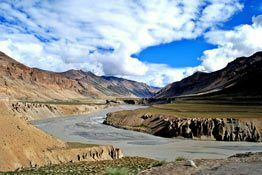 Inner Line Permit, or ILP, is a travel document issued by the Government of India which allows an Indian and foreigner travelers to travel to a protected area for a limited time period. Obtaining this permit is mandatory for all the citizens who do not belong to Jammu and Kashmir State. 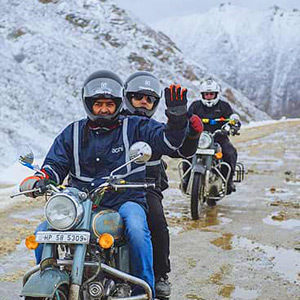 Foreigners visiting Ladakh are required to obtain Ladakh Protected Area Permit (PAP) before entering this region. The Inner Line Permit, or ILP, is valid for a period of 3 weeks for Indians, and 1 week for foreigners. It should also be remembered that there is no limit on the number of times you visit a place within the valid period as long as you have the necessary permits with you. Which Areas Need an Inner Line Permit? Please noted that the Inner line Permit is not required for visiting all the areas. 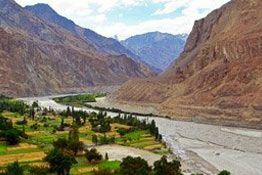 In fact, it is only required for some areas like Nubra valley, Khardung La, Pangong Tso, Tso Moriri, Dah, Hanu Villages, Man, Merak, Nyoma, Loma Bend, Turtuk, Tyakshi, Chusul, Hanle, Digger La, Tangyar (for trekking only). Process to obtain the Inner Line Permit online? 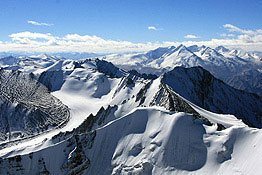 Now, it has become easy to apply for inner line permit without visiting any government office. Just visit the newly launched portal and apply here for ILP. The whole process for obtaining the permit has been described below. Firstly, go to http://lahdclehpermit.in/ and after entering the URL, allow the webpage to load first. When it has loaded, click on the half circle which appears at the bottom of the screen and reads “Issue”. When you do this, a fly menu will appear on the screen. Next, click on “Domestic Clients”. This will take you to another page which will require you to fill out your details elaborately. Next, mention the year of your travel, your name, the state you reside in and your gender. Click on the ID type on the drop down menu and select the one which you feel the most comfortable with, or which you possess with you. Fill out the information of your Aadhar Card, Driving License, Passport or Voter ID number. Under the section, “Issue Permit” field, select “Directly”. Click on the field mentioned “Date of Arrival”. When you do this, a calendar will appear on the screen. 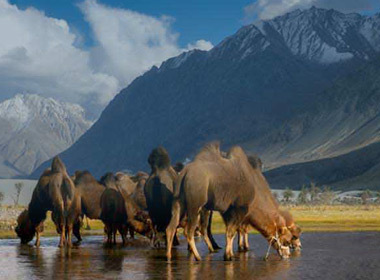 Select your date of arrival in Leh town. After you have completed filling all the information, review the entire information once again because once you submit it, you cannot alter the information any longer. Next, click the Submit button. A fly out which will appear on the screen will tell you that you have been successfully registered. Click “Ok”. After you have done that, you will be taken to the next page where you will be required to select the areas that you need an Inner Line Permit for. 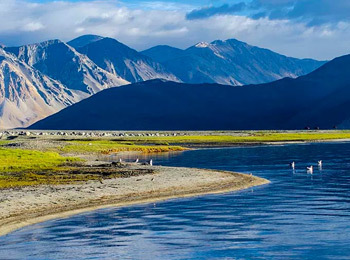 At the bottom of the screen, select your date of arrival in Leh as well as the date of departure. A new fly out will pop up on the screen informing you that the circuit has been assigned successfully. Click OK.
A new pop up which reads “Inserted Successfully” will appear on the screen. Click OK.
After you have done that, you will be taken to another page which will contain the details of your permit. The page will mention your name, ID number, state of residence and different fee related structures. You can now either take a print out of it or take a screenshot of it.